Is it too much to use a full syringe? it is important to understand that one syringe of fillers is one 1 CC. what is 1 cc or 1 ml volume of filler is? The teaspoonful is 5 mls, so 1 cc is 1/5 of the teaspoonful. So it is not that much. If the full syringe of the filler is distributed evenly between the upper and lower lips then we get the results the client is looking for. Is the lip fillers injection result permanent? The HA lip fillers, such as Juvederm and Restylane, results are not permanent, it usually lasts for an average 6 months. We need to differentiate between the fillers side effect and injection side effect. Most of the noticeable side effects of lip fillers are mainly due to injection as lips are very vascular and sensitive to the sharp needle. Fillers as materials have side effect as well due to an immune response against the fillers. These cases are rare and the fillers should be dissolved immediately. Do I need to keep getting lip fillers for the rest of my life? It is a personal choice, you can keep maintaining the lip shape of you like it, or you can leave the fillers to get dissolved and you will get the shape back their normal shape. What is the best lip fillers on the market? The perfect lips are the one that you like. 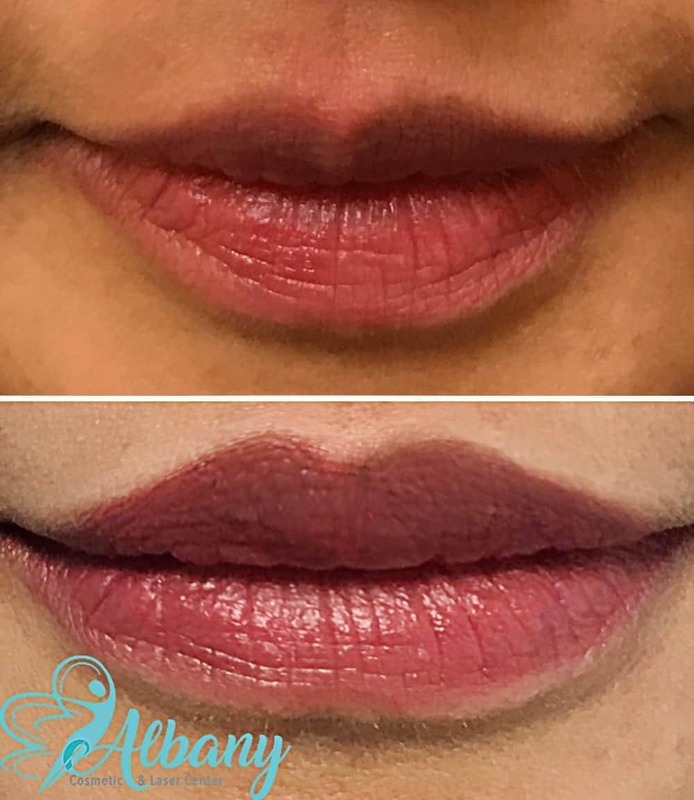 We need to discuss how to match the lip shape with the rest of your facial feature. About the Author: Dr. Kamal is an expert in the cosmetic field, he is a Pharmacist with Ph.D. in Pharmacy and Pharmaceutical practice. He is the medical director for Albany Cosmetic and Laser Center.